Starting from Mid August all the way to the end of October, just as you feel the warm weather is giving way to a fresh cool one, when the sky is more blue than ever and when you see the leaves go crazy with colors, as if the tree is set on fire, that’s when you know there is time to go for an apple picking trip anywhere in the province of Quebec. 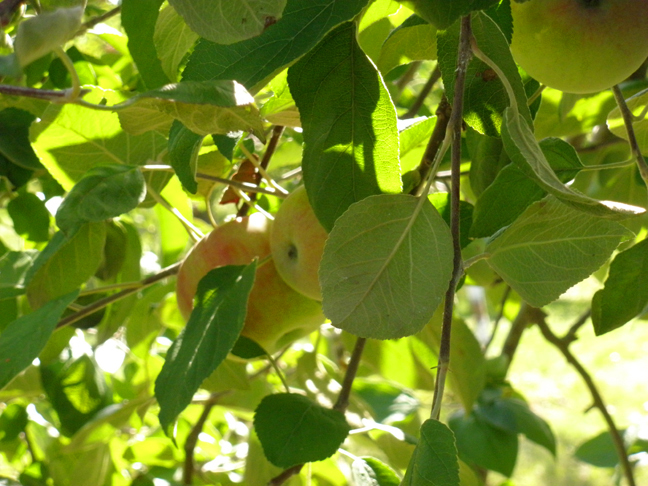 There are several locations in and around the Island of Montreal with huge orchards, where you could do your apple picking and have a great time doing so. The admission is always free, and apple varieties, including McIntosh, Empire, Melba, Lobo, very affordable. Most locations have cozy little apple-products stores, with the aroma of freshly baked apple pies and apple breads mixed with cinnamon wafting through the entire area. Of all apple products, such as vinegar, honey, candies, caramel, I absolutely love warm apple cedar (unfiltered apple juice), maybe because it is so seasonal during fall. Tractor ride and farm tour, picnic tables, makeshift playgrounds and small barns with farm animals are among the attractions too. Well, I guess, I said all you could not figure from the pictures. The location we went to was on Saint-Joseph-du-Lac, Oka, Northwest of the Island of Montreal. We picked and bought our apples from Les Vergers Lafrance. Click on the first image to view as slideshow.